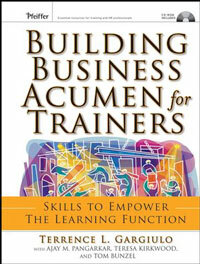 For management, training and e-learning is simply another business function. So why isn’t treated as a business? Internally, your leaders view e-learning as a training function and as a “quick fix” to skill employees. Training and e-learning’s credibility is fragile, and attempting to prove validity is always in question. In the last few years, concepts such as training return-on-investment and return-on-expectations came into play and are touted as the solution to T&D’s credibility gap. With the continued acceptance of e- and m-learning, the training function is even more complex and proving its effectiveness becomes increasingly challenging. There is little room for misinterpretation with your leaders. Participants discover why they are unable to gain organizational support for e-learning and training while developing an ability to demonstrate “learning” results in business terms. The session is delivered through both presentation and interactive methods. Participants are presented the primary concepts and a case study exercise that is applied throughout the session. As the session content is presented, the participants are required to identify why an e-learning/training effort is unable to gain management support. They are then asked to develop credible solutions that will build support and demonstrate sustainable business results. The session will conclude with feedback on the case study and a question and answer period.-Identify credibility building elements that leadership requires. 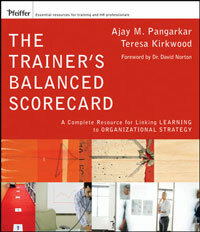 -Determine each management level’s expectations. -Itemize why ROI/ROE is undermining training and its impact on e-learning. -Translate Kirkpatrick’s evaluation into business terms.